Earlier this month, the Centers for Disease Control and Prevention finalized new recommendations for one-time screening for the hepatitis C virus (HCV) in all persons born between 1945 and 1965, a generation better known as the "Baby Boomers." The CDC's new recommendations were published in the Annals of Internal Medicine. Previously, the CDC only recommended that persons with behavioral or medical risk factors for HCV be routinely tested. Its rationale for expanded screening in persons age 47 to 67 is that more than 75% of persons with antibodies to HCV (demonstrating evidence of prior infection) belong to this age group, due to a higher prevalence of injection drug use. Since more than half of adults with HCV are unaware that they are infected, the CDC recently estimated that routine screening and treatment of infected persons in this "birth cohort" would be cost-effective. The USPSTF prefers data from randomized, controlled trials that begin with randomization into screened and nonscreened groups and follow participants through to morbidity and mortality, yet these data are not available. Although these types of studies provide the most conclusive evidence about the benefits and harms of a screening intervention, they also are resource-intensive and require long periods of follow-up. The CDC based its HCV testing recommendations on the prevalence in the target population, the many persons who are unaware of their infection status, potential benefits of care and treatment, and projections of increasing morbidity and mortality in the absence of an intervention. Two years ago, I represented the Agency for Healthcare Research and Quality at several of the Department of Health and Human Services' strategy sessions that followed the Institute of Medicine's report calling for increased efforts to reduce the public health burden of chronic hepatitis and liver cancer in the U.S. Chronic hepatitis predominantly affects vulnerable populations, including immigrants from Asia and homeless and incarcerated persons. But I am not sure that the new CDC guideline represents a step in the right direction. On one hand, recently developed drugs for chronic hepatitis C are considerably less toxic than the older ones, and more effective, if effectiveness is measured by disease-oriented outcomes such as viral loads and liver pathology. On the other, a large proportion of persons with hepatitis C will never develop symptoms, but this universal age-cohort screening strategy would expose them all to potentially unnecessary labeling, workup, and treatment, not to mention add hundreds of thousands of patients to health systems for the underserved that are already straining to meet demand for subspecialist services. It's a tough call to make, and I will be watching the USPSTF closely to see how they weigh the benefits and harms. Some content from the above post was first published on the AFP Community Blog. If screening asymptomatic persons in the general population with nonindicated tests neither is medically beneficial nor enhances behavior change, how can it be ethical to allow marketing of such tests to the public? We believe that promoting and selling nonbeneficial testing violates the ethical principles of beneficience and nonmaleficence. ... Appropriate and truly informed consent cannot be obtained when the companies providing the test do not fully disclose the potential risks and lack of benefit before collecting payment and performing the tests. ... In direct-to-consumer advertising of pharmaceuticals, companies are required to disclose the potential risks of taking a medication. We believe that commerical screening companies should also be obligated to disclose from published guidelines the recommended indications and benefits of testing, as well as the potential risks and harms. I don't mean to single out Life Line Screening, which is one of several companies that provide (and profit handsomely from) commercial screening services, but like all the others, its website is loaded with celebrity endorsements, deliberately vague about who would benefit from its screenings (primarily people age 50 and older, it says, but younger persons won't be turned away), and says absolutely nothing about the downsides of screening. Most of the tests Life Line Screening offers in various packages have insufficient evidence to show that they improve clinical outcomes - including creatinine screening for chronic kidney disease, according to a report released today by the U.S. Preventive Services Task Force. "7 million screenings since 1993," the Life Line website proudly proclaims; in my view, that's 7 million screenings too many. For information about worthwhile screening tests based on evidence rather than misleading claims, hype, and wishful thinking, skip the commercial screening websites and head to Healthfinder.gov instead. Early in my career, I provided patient care at several community health centers in Washington, DC, and until recently, my wife served as the medical director for two area health centers. In fact, our own family doctor (who cares for us and our three children) works in a community health center. Despite the Supreme Court's recent ruling that made the Affordable Care Act's expansion of Medicaid coverage optional for the states, health centers are expected to continue to play a big role in providing affordable primary care to millions of patients. And one of the many challenges that health centers encounter on a daily basis is how to arrange for patients to see subspecialists for diagnostic or therapeutic interventions (e.g., colonoscopy, surgery, cardiac stress testing) that their clinicians don't offer. In a study published this month in Health Affairs, Katherine Neuhausen and colleagues asked directors of 20 community health centers all parts of the U.S. how they addressed this challenge. The authors analyzed their responses to identify six distinct models that health centers use to obtain subspecialty care: Tin Cup, Hospital Partnership, Buy Your Own Subspecialists, Telehealth, Teaching Community, and Integrated System. As one might expect, health center directors who used the Tin Cup (i.e., begging subspecialists for charity care) model were least satisfied with their ability to access subspecialty care, while the most satisfied directors used the Integrated System model, which "features community health centers that are completely integrated with a local government health system or a safety-net hospital that has a comprehensive network of specialists." If a high-functioning community health center can provide its patients with a medical home, then the Integrated System represents the next essential step to meet all of their health care needs: the medical neighborhood. In that neighborhood, it's important to recognize that the exchange of services can and should be a two-way street. Hospitals and large specialty practices have financial and material resources, while community health centers have the experience and know-how to manage care for high-risk patients with chronic conditions (the so-called "hot spotters" in Atul Gawande's widely read New Yorker article) who generate a disproportionate share of health care costs. Maryland has been particularly innovative in encouraging these two types of organizations to combine forces through a matchmaking project whose results are outlined briefly in a recent JAMA article and further described in an online database maintained by the Maryland Department of Health and Mental Hygiene. There's a nicely written article in today's New York Times about medical smartphone apps, which range from simple exercise and dietary logs to those that provide personalized medical advice or imitate functions of medical devices such as heart monitors or ultrasound machines. It seems like a good time as any to revisit a blog post on medical apps that I wrote last year for USNews.com. Doctors of my generation have experienced dramatic changes in the way we access the information we need to care for patients. As a medical student 15 years ago, my "peripheral brain" consisted of fat textbooks sitting on office bookshelves or smaller, spiral-bound references stuffed into the bulging pockets of my lab coat. As a doctor-in-training, I replaced those bulky references with programs loaded onto PDAs. Today, smartphone apps allow health professionals at all levels to access the most up-to-date medical resources such as drug references, disease-risk calculators, and clinical guidelines—anytime, anywhere. Apps have several advantages over traditional medical texts. First, the information is always current, whereas many textbooks are already dated by the time they hit shelves. If I have a question, I can look up the answer on my smartphone without leaving my patient’s side. And unlike textbook chapters, many medical apps have interactive features that help doctors choose appropriate screening tests for patients, recognize when immunizations are due, or calculate a patient’s risk of developing heart problems. Lastly, apps can enable remote monitoring of high-risk patients and reduce the need for office visits. In a small study published in PLoS ONE, for example, researchers found that patients hospitalized for heart vessel blockages were able to complete "supervised" rehabilitation exercise sessions in their homes with a portable heart monitor and GPS receiver that transmitted real-time data to doctors via smartphone. But smartphone apps also have downsides—despite their enormous potential to improve the quality and convenience of healthcare. While textbooks undergo rigorous review by experts, apps vary in quality and don't have to be vetted for accuracy or safety. That point was driven home to me recently when a colleague shared a nifty app she’d downloaded that acted as a mobile electrocardiogram (ECG) monitor: Just place your finger tip on the smartphone's camera, and your heart rate and electrical rhythm appear on screen. Visions of chucking our office's bulky and temperamental ECG machine briefly danced in my head—until I tried the app out and found the readings to be completely wrong. Concerns about app quality prompted the U.S. Food and Drug Administration to propose that certain interactive medical apps be required to get agency approval before being distributed or sold, similar to how new drugs and devices are evaluated for effectiveness before being allowed on the market. Proponents of regulating medical apps argue that guidelines are needed to protect patients from apps that provide misleading or potentially harmful data. However, others worry that regulation may stifle the production of innovative apps—often developed by individual researchers on shoestring budgets—that could potentially be useful in patient care. Also, although the FDA doesn't intend to regulate apps that simply allow doctors to read digital versions of print publications, it isn't clear exactly how "interactive" an app needs to be to qualify for regulatory review. How might the recent explosion of medical apps affect your future healthcare experiences? According to a recent article published in the Archives of Internal Medicine, more than 80 percent of doctors will own smartphones by 2012. So it's likely that your doctor already uses one or more popular medical apps to double-check drug doses or to read summaries of the latest medical research. If your doctor is tech savvy, he or she may also be storing your health information in one of several electronic medical record systems accessible via smartphone. Given the uneven performance of medical apps to date, it’s best to view them with caution, as you would any new medical device. My advice: Ask your doctor which apps she uses regularly and make sure you’re comfortable with their quality and their ability to protect your personal data. That way, you can feel reasonably assured that apps will be an asset, rather than a hindrance, to reaching your health goals. This is the second of two posts updating a short essay on public health leadership that I wrote last summer. Part 1 is available here. Strong public health narratives can foster a culture of “macro” medicine, much as executives in business organizations successfully have used stories to shape corporate culture. According to John Marshall and Matthew Adamic, persuasive stories “applaud … a certain type of behavior” and include a “call to action” that is consistent with the leader’s vision. Leaders should avoid falling into the trap of providing excessive detail and making it more difficult for listeners to apply the narrative to their particular situations. In the case of prostate cancer, a leader might tell the story of an otherwise healthy 60 year-old man who suffers permanent urinary incontinence and erectile dysfunction following surgery for an asymptomatic and likely slow-growing tumor. Patients and physicians could identify with the person in this story, fill in the gaps about how these complications must have worsened his quality of life and relationships, and be motivated to have informed discussions about the potential downsides of such testing in the future. In “The Four Truths of the Storyteller,” entertainment executive Peter Guber asserted that the most effective leadership stories are authentic or “true” to the teller, the audience, the moment, and the mission. It’s no surprise, then, that AHRQ (the “teller”) was unable to convince its own superiors in the Department of Health and Human Services to allow the scientists to unequivocally recommend against screening for prostate cancer. Sensitive to stirring up calls of health care “rationing,” and viewing health reform as a mechanism for providing new benefits, rather than taking them away, the agency was an ineffective spokesperson for the story that screening can be harmful. The target audience of clinicians and policymakers was also unprepared to receive this message, especially at that particular “moment”: the day before a midterm election that rearranged the balance of power in Congress. When truth to the mission conflicts with truth to the audience, truth to the mission should win out. The leader who knows his listeners is able to gain their trust and spend that currency wisely in pursuit of the mission. But this doesn’t mean telling people exactly what they want to hear. That’s pandering, and, as Hollywood has learned, a formula for a mediocre story. Indeed, sometimes you need to do just the opposite. This is not a small task by any means. As Douglas Ready observed in the context of training the next generation of business leaders, "storytelling, strange as it may sound, is hard work and very labor-intensive for those who choose to try it." The same is true of developing the next generation of leaders in public health. It is not enough just to understand what the science shows, especially if the body of evidence supports a conclusion that contradicts current beliefs. The best way for a leader to persuade people to accept a counterintuitive health message is to craft a compelling narrative. 1. Lenzer J. Official resigns amid prostate screening controversy. BMJ 2010;341:c6346. 2. Bennis W. The leader as storyteller. Harv Bus Rev 1996;74:154-61. 3. Dennehy RF. The executive as storyteller. Manag Rev 1999;88:40-43. 4. Forman J. Leaders as storytellers: finding Waldo. Bus Comm Quarterly 2007;70:369-73. 5. Drucker PF. Managing oneself. Harv Bus Rev 2005;83:100-109. 6. Kahn LH. A prescription for change: the need for qualified physician leadership in public health. Health Aff 2003;22:241-48. 7. Ransohoff DF, McNaughton-Collins M, Fowler FJ. Why is prostate cancer screening so common when the evidence is so uncertain? A system without negative feedback. Am J Med 2002;113:663-67. 8. U.S. Preventive Services Task Force. Screening for prostate cancer: U.S. Preventive Services Task Force recommendation statement. Ann Intern Med 2008;149:185-91. 10. Denning S. Telling tales. Harv Bus Rev 2007;85:122-29. 11. Guber P. The four truths of the storyteller. Harv Bus Rev 2007;85:53-59. 12. Ready DA. How storytelling builds next-generation leaders. MIT Sloan Manage Rev 2002;43:63-68. PSA screening is back in the news, with an analysis just published in the New England Journal of Medicine suggesting that the test could benefit some men and harm others, depending on the values they place on (less likely) extended life versus (more likely) disabling side effects of testing and treatment. The fatal flaw in this analysis is that it assumes that the result of the ERSPC study, which was the only one of 5 randomized trials to find that PSA screening reduced prostate-cancer mortality, represents the "true" effect of screening. If that were the case, then the PIVOT trial, published in NEJM last month, should have found that surgery for localized prostate cancer reduced mortality compared to watchful waiting. It did not. It never ceases to amaze me how proponents of PSA testing manage to totally disregard the evidence that the test does not work. That they do, and continue to get away with it, seems to me to be not only a failure of science, but a failure of leadership. Along those lines, thanks to Johns Hopkins University Bloomberg School of Public Health's Ann-Michele-Gundlach for inspiring me to write the following essay (slightly updated and divided into Part 1 and Part 2) for her leadership survey course last summer. Public health leaders must often tell people things that they don’t really want to hear. “Stop smoking.” “Eat a healthier diet.” “Exercise for at least 30 minutes each day.” To motivate people to heed these messages, leaders construct simple narratives to communicate the potential harms of undesired health behaviors and the benefits of desired ones. Who wants to spend their golden years tethered to an oxygen tank for every moment of the day? Who doesn’t want to live long enough to play catch with their grandchildren? Some health messages, however, are more challenging to communicate. For example, contrary to the beliefs of most laypersons and good intentions of health professionals, screening for cancer does not always lead to better health outcomes. This narrative is considerably more complex, and if poorly constructed, can be self-defeating. In November 2010, I resigned my position as a researcher and medical editor at the federal Agency for Healthcare Research and Quality (AHRQ) to protest the politically-motivated cancellation of a scientific meeting that would have discouraged the use of prostate cancer screening tests. In a blog post, I explained that I could be a stronger advocate for population health by working outside of government. Although I am not certain whether to view my resignation as a personal example of leadership or, as a former colleague implied, simply taking the easy way out, I believe that my previous organization squandered an important leadership opportunity. They did so because they were unable to offer a persuasive narrative to politicians, clinicians, and the public. In “Managing Oneself,” Peter Drucker observed that one’s leadership performance is determined by self-awareness of personality traits such as being a reader (Dwight Eisenhower) or a listener (Lyndon Johnson). Similarly, my leadership model recognizes the difference between being a writer and a speaker. Although I am not shy about public speaking, my capacity to impart messages to groups and organizations is rooted in my ability to move people with compelling writing – whether systematic literature reviews, clinical practice guidelines, or opinionated blog posts about the abuses of politics on the scientific process. Recently, there has been increasing recognition of the need to develop physician leadership in organizations that protect the public’s health. However, physicians whose experiences consist of caring for patients one by one are often at a loss when it comes to managing the health of populations, which one author has called “macro” (as opposed to “micro”) medicine. Presented with a man whose prostate cancer was detected by a prostate-specific antigen (PSA) blood test and successfully removed, thus “saving his life,” a single clinician is naturally encouraged to do more testing to detect more cancers. Population-level factors such as false positive test frequencies, the burden of treatment side effect, and diagnoses of slow-growing cancers that would have never caused symptoms (much less death) are simply outside this clinician’s field of vision. Expanding that vision is a critical role of public health leaders. Enthusiasm for lung cancer screening has never been higher, following last year's report from the National Lung Screening Trial (NLST) that heavy smokers who underwent 3 rounds of low-dose computed tomography (CT) screening were 20 percent less likely to die from lung cancer compared to a similar group that was screened with chest x-rays (a "placebo" intervention that another study found to be ineffective). 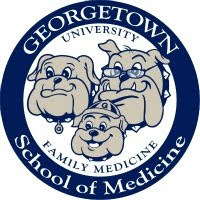 My own institution, Georgetown University Hospital, was one of the study sites for the NLST, and has been advertising its lung cancer screening services to physicians and the general public. As Drs. Peter Bach and Michael Gould point out this week in the Annals of Internal Medicine, however, few people currently being offered lung cancer screening have a risk of lung cancer death that resembles the average NLST participant. A 55 year-old woman who just kicked her 1 pack-per-day, 30-year smoking habit has only a 4 in 1000 risk of death from lung cancer in the next 6 years. Taking away 20 percent of that risk (4 - 0.8) drops it to about 3 in 1000. More than 1200 patients like this woman would need to be screened to prevent 1 death from lung cancer. And some hospitals across the U.S. are offering lung cancer screening to younger smokers at even lower risk, translating to numbers needed to screen of 35,000 or more to prevent one lung cancer death - a benefit that could easily be outweighed by all of the potential harms of screening. Would you like fries or cheesecake with your family medicine? This is not at all the normal way of doing things in medicine. ... But it’s exactly what the new health-care chains are now hoping to do on a mass scale. They want to create Cheesecake Factories for health care. The question is whether the medical counterparts to Mauricio at the broiler station—the clinicians in the operating rooms, in the medical offices, in the intensive-care units—will go along with the plan. Fixing a nice piece of steak is hardly of the same complexity as diagnosing the cause of an elderly patient’s loss of consciousness. Doctors and patients have not had a positive experience with outsiders second-guessing decisions. How will they feel about managers trying to tell them what the “best practices” are? I have spent time in one area of family medicine that functions with restaurant-ish efficiency, however: the urgent care setting. In between leaving my non-clinical position at AHRQ and returning to academic medicine full-time, I moonlighted at a respected chain of urgent care centers, where patients receive walk-in care for minor illnesses such as respiratory infections, sprains and strains, and uncomplicated lacerations. The layout of each facility was identical, so that a clinician, nurse, medical assistant, laboratory assistant, radiology technician, etc. could seamlessly fill in at any location. Senior physicians had integrated evidence-based protocols into the electronic medical record for almost every conceivable clinical situation that physicians might encounter, suggesting medications, follow-up studies, and referrals depending on the diagnosis. Physicians regularly received feedback on their quality of care and were sometimes followed on selected shifts by an "efficiency expert" (typically a registered nurse) who observed them in action and made suggestions about how to improve their performance. Most patients, accustomed to long waits for doctors' appointments and the glacial speed of the emergency room for non-critical medical problems, left the center satisfied. So why not extend this model to non-urgent primary care? Well, we profited for the most part from dealing with patients with clearly defined complaints who wanted quick fixes rather than long-term healing relationships. Put another way, seeing me for care was something like visiting a McDonalds - a predictable and satisfying experience, but one that you don't want to have on regular basis (much less every day for a month, like Morgan Spurlock in the 2004 documentary Super Size Me). Like entering a sit-down restaurant that you've never visited before, meeting a new primary care physician is more of a gamble than going out for fast food. Your expectations are higher, and the possibility of disappointment far greater. But the payoff, if you're fortunate, will be better health and improved quality of life, as documented in detail by researchers such as the late Barbara Starfield. The trouble is that today's U.S. health environment consistently pays the best family physicians (Gawande's equivalent of Cheesecake Factory managers) the equivalent of McDonalds wages: my hourly take-home pay was about one and a half times higher doing urgent care than it is today, doing mostly primary care. 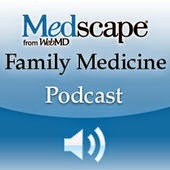 So it's no wonder that medical students continue to pass on family medicine. This is the second of two posts that outlines my view of the approach that the FDA should take in regulating pharmaceutical promotion in social media. Part 1 is available here. Another critical element that may determine how involved the industry can be in promoting products through social media outlets is the FDA’s interpretation of manufacturers’ obligations to report prescription adverse events in online discussions that they monitor. The scope of such a task may be more manageable than it seems. In 2008, the Nielsen Company analyzed 500 randomly selected healthcare-related messages on non-pharmaceutical social media sites and found that only one satisfied the FDA’s four standard adverse event reporting requirements (specific medication, adverse experience, identifiable patient, and identifiable reporter). A subsequent analysis estimated that social media generate only 166 reportable adverse events per day across the entire industry, with even the best-selling brand name medications generating fewer than 100 “mentions” each day. AstraZeneca recently distributed a “white paper” on social media that proposed five principles for guiding the company’s social media activities: ensuring truth and accuracy; respectful participation; protection of patient health; transparency; and tolerance of differing views. It also suggested that in regulating social media activities, the FDA should distinguish between three levels of communications: company-controlled and hosted, such as on company websites; company-controlled communications provided on other websites; real-time communications such as chat rooms and blog comments. AstraZeneca argued that in general, manufacturers should be held most accountable for the first two types of communications and least accountable for the latter. Ultimately, the FDA’s decision will depend on its assessment of the potential public health benefits and harms of allowing limited or unlimited engagement of pharmaceutical companies in social media for product promotion purposes. As was the case in 1997, when the FDA modified its stance on broadcast DTCA, there is little empiric evidence to indicate that the benefits will necessarily outweigh the harms, or vice versa. 1) Outright Ban – This option would prohibit pharmaceutical companies from using social media for direct product promotion. Companies would be allowed to host and/or support websites that provide news about company activities or general disease information that does not reference particular products. 2) Restrictive Option – Pharmaceutical companies would be permitted to advertise products via social media, but all such activities would be subject to strict FDA oversight and approval, guided by existing regulations regarding “fair balance” in broadcast DTCA. All company communications, on sponsored or independent websites, must be transparent about their source. In addition, companies that chose to engage consumers in conversations about their products would take on the responsibility of monitoring for, and reporting, all adverse events on those websites. 3) Permissive Option – This option would permit pharmaceutical companies to promote their products in any social media outlet without limits, as long as the content provided was factually accurate. “Fair balance” rules would only apply to content posted on company-sponsored websites. Adverse event reporting to the FDA from other websites would be encouraged, but voluntary. The Permissive Option, by continuing the status quo of no explicit FDA regulation of social media, is administratively the most feasible. However, it is likely to have a significant public health impact by encouraging pharmaceutical companies to intensify DTCA of products via social media, increasing requests for (and, probably, prescribing of) promoted medications. The experience of DTCA broadcast ads suggests that health professionals will have mixed responses, and patients will generally support having access to more information about diseases and treatments. The Outright Ban Option would require a greater investment in administrative resources initially, as many current pharmaceutical industry activities would need to be discontinued to comply with the new policy. In addition, there would be a continuing need to monitor health care social media sites to enforce the blanket restrictions. The public health impact of this option is uncertain, and it may prove unpopular with patients. The Restrictive Option would require a substantial investment in administrative resources, since it contains the most specific guidance and would require staff to create and apply objective criteria to determine if a specific social media activity is permitted or not (rather than “all are permitted” or “none are permitted”). Although the rationale for regulating product promotions is to encourage social media activities that are likely to benefit the public health and discourage harmful activities, these benefits and harms would be theoretical and initially very subjective. I anticipate that health professionals and patients would be for the most part satisfied with this option. I recommend that the FDA Administrator select the Restrictive Option. Although it poses some administrative challenges, it strikes a balance between too much and too little regulation and is most likely to lead to improvements in public health. 1. AstraZeneca. White paper: social media in the pharmaceutical industry. December 2010. Available at: http://www.astrazeneca-us.com/_mshost795281/content/media/AZ_Social_Media_White_Paper.pdf. Accessed February 14, 2011. 2. Davies, M. White paper: listening to consumers in a highly regulated environment: how pharmaceutical manufacturers can leverage consumer-generated media. The Nielsen Company, August 2008. Available at: http://blog.nielsen.com/nielsenwire/wp-content/uploads/2009/11/Nielsen-Online-Healthcare-Practice_Social-Media-Adverse-Event-Reporting_nov09.pdf. Accessed February 14, 2011. 3. Donohoe, J. A history of drug advertising: the evolving roles of consumers and consumer protection. Milbank Quarterly 2006;84:659-99. 4. Frosch DL, Grande D, Tam DM, Kravitz RL. A decade of controversy: balancing policy with evidence in the regulation of prescription drug advertising. Am J Public Health 2010;100:24-32. 5. Greene JA, Kesselheim AS. Pharmaceutical marketing and the new social media. N Engl J Med 2010;363:2087-89. 6. Kravitz RL, Epstein RM, Feldman MD, et al. Influence of patients’ requests for direct-to-consumer advertised antidepressants: a randomized controlled trial. JAMA 2005;293:1995-2002. 10. Webb, S. Drug marketing and the new media. Nature Biotechnology 2010;5:396-98. Taking into consideration the input from within and outside FDA, ... we have identified the following issues that are important to address: responding to unsolicited requests; fulfilling regulatory requirements when using tools associated with space limitations; fulfilling post-marketing submission requirements; on-line communications for which manufacturers, packers, or distributors are accountable; use of links on the Internet; and correcting misinformation. We are developing multiple draft guidances to address these topics to benefit industry and the public by ensuring that these draft guidances are meaningful and well thought out when they are issued. While Big Pharma and other interested observers continue to hold their breath (or not), here is my take on this topic, drawn from a paper I wrote last year. Sources are listed in Part 2 of this post. Direct communication between the pharmaceutical industry and patients is increasingly common. An important milestone in direct-to-consumer advertising (DTCA) was the 1995 FDA hearings, at which pharmaceutical companies requested that the FDA clarify the conditions under which broadcast advertisements need not include a brief summary of benefits and risks from the approved product label. The FDA subsequently stated that these advertisements could instead send consumers to a website, toll-free telephone number, print advertisements, or health professionals for this information. Overall pharmaceutical spending on DTCA then shifted from predominantly print to broadcast advertisements and rose from $1.3 billion in 1998 to $4.9 billion in 2007. While the pharmaceutical industry has consistently argued that DTCA empowers patients by providing information on potentially undiagnosed health conditions and enabling them to initiate conversations with their physicians about treatments, physicians and physician groups have expressed concerns that DTCA would lead patients to request, and doctors to fulfill, inappropriate prescriptions. Limited evidence on the effect of DTCA on prescribing practices, including a single randomized controlled trial of DTCA for antidepressants suggests that DTCA increases prescribing of advertised medications in general, both for appropriate and inappropriate indications. A survey conducted by the National Consumers League in 2002 indicated that most consumers did not agree that ads for prescription drugs should be restricted to medical journals. These results may reflect changing societal attitudes about the extent to which patients ought to be involved in making their own health care decisions, and the degree to which health information needs to be filtered through physicians. Social media websites such as blogs, Facebook, and Twitter differ from static web pages in allowing multiple participants to exchange information, ideas, and opinions in real time. The proliferation of social media tools over the past decade has created new opportunities for unmoderated dialogue between health professionals, pharmaceutical companies, and the public, as well as the rapid dissemination (“going viral”) of health-related content to a broad and diverse audience. Despite the FDA’s stated intention to issue guidance on permissible uses of social media, the pharmaceutical industry has already established or is involved in many online communities relevant to their products. Some examples of pharmaceutical-sponsored social media websites are a Pfizer-authored blog “forum about science and medicine,” Think Science Now; a GlaxoSmithKline-supported “community” for users of its over-the-counter weight-loss drug Alli; and a Boehringer Ingelheim Facebook page that “is not intended as a forum to discuss technical queries regarding specific pharmaceutical products.” Every major drug manufacturer has an active Twitter account, and most have created one or more mobile phone applications. Although the FDA’s experience with regulating DTCA can help inform its guidance to the pharmaceutical industry regarding social media, the scope of social media communication is considerably larger than advertising alone. Social media channels are varied, evolving, and for the most part, not under direct industry control. Other unresolved issues include how and where to draw the line between company-sponsored media and “independent” websites, as well as the difficulty in determining financial or other conflicts of interest held by health bloggers, many of whom are anonymous. As a result of the above concerns, social media activities of the pharmaceutical industry generally have not included DTCA. Only 4% of the $4 billion that the industry spent on DTCA in 2008 on the Internet. Further discouraging online advertising, the industry’s previously-held assumption that fair balance requirements could be satisfied with a “one-click” rule (including a direct link to a web page that contained full risk and benefit information), was overturned when the FDA sent warning letters in April 2009 to 14 companies that had posted brief online ads without risk information on search engines. In honor of World Breastfeeding Week, which ends today, I am re-posting a post I wrote two years ago about breast milk being the "next all-natural blockbuster drug." Pharmaceutical companies and their shareholders are always looking for the next "blockbuster" drug, the label given to a drug that generates more than $1 billion of revenue per year. Blockbuster drugs don't necessarily have to save many (or any) lives - slick marketing more than compensates for marginal improvements in treatment efficacy - but they do need to target conditions that are common enough that millions of patients will buy them. In adults, such conditions include osteoporosis, high cholesterol, and arthritis. The reason that there have been few, if any, blockbuster drugs for children is that the vast majority of children are healthy. But what if medical science discovered a drug that was proven conclusively to prevent or reduce the risk of a variety of common and uncommon childhood illnesses, including ear infections, gastroenteritis, respiratory infections, eczema, asthma, diabetes, obesity, and even sudden infant death syndrome? A recent cost analysis published in a leading pediatric research journal suggested that giving this drug to 90% of U.S. children for the first 6 months of life could potentially save the lives of more than 900 infants and $13 billion per year. How much do you think people would be willing to pay for this miracle drug? Enough that it could potentially become the first pediatric blockbuster - that is, if breast milk wasn't already free. Although the American Academy of Pediatrics recommends that mothers exclusively breastfeed infants for the first 6 months of life, and supports continuing breastfeeding to at least one year of age, data from the 2004-2008 National Immunization Survey document that only 73% of U.S. women attempt to breastfeed after birth, and only 42% and 21% are still breasfeeding at 6 and 12 months of life. The numbers are even more discouraging for Black women: only 54% attempt breastfeeding, and just 27% and 11% are still doing so at 6 and 12 months. Pediatricians and family physicians work diligently to convince women to breastfeed their babies and to continue as long as they can to reap the numerous health benefits (which include a reduced risk of type 2 diabetes, breast, and ovarian cancer for mom), but they are often frustrated in these efforts by health system and employment obstacles. Hospitals commonly distribute free formula or branded diaper bags (my son, who never drank a drop of infant formula, nonetheless went home with a free bag courtesy of Enfamil) and interrupt critical early attempts at breastfeeding with tests and other procedures. Upon returning to the workplace, many moms find that the only private place to pump and store breast milk is a bathroom. However, a new provision in the health reform bill will for the first time require that U.S. employers (even those with fewer than 50 employees) provide regular breaks and a private space for female employees who need to express breast milk. Small employers who may initially feel that this new requirement is an "undue hardship" should consider the lower health costs (and lower insurance premiums) that should result from more infants consuming this all-natural blockbuster drug. "Sometimes, the hardest thing for a physician to do is nothing," observed my colleague Jay Siwek, MD in a recent editorial in American Family Physician. "And although patients are sometimes a source of excess utilization, physicians, responding to conventional practices, current fads, and the rituals of medicine, often order tests or treatments that don’t stand up to clinical scrutiny. How do we do better? How do we know not only what to do, but also what not to do?" The editorial compiles family medicine-relevant items from the multi-specialty Choosing Wisely campaign that aims to reduce the provision of "unnecessary" care, defined as medical tests and treatments that offer no health benefits and may result in harm to patients. 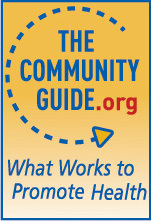 Based on trusted sources of evidence-based medicine such as the U.S. Preventive Services Task Force, the Cochrane Database of Systematic Reviews, and Essential Evidence Plus, these "don't do" recommendations have the potential to save both lives and money, if they can be effectively put into practice. To inform patients about the campaign, Consumer Reports has created fact sheets about many of the included items. Reactions to the Choosing Wisely campaign in the blogosphere have been varied. Calling it "the health reform we need," cardiologist John Mandrola writes, "I hope it sticks like super glue." On the other side, emergency physician William Sullivan argues that the campaign "has good intentions, but isn't a good idea," noting that "there isn’t a Suing Wisely campaign for attorneys and there isn’t a Legislating Wisely campaign for Congress." Similarly, family physician Mike Sevilla contends that while Choosing Wisely may "score political points" for sponsoring physician organizations, it is unlikely to change their members' behavior, which is also driven by patient demands and fears of lawsuits over interventions not taken. Where do you stand on this spectrum of opinions? Is the Choosing Wisely campaign good or bad for patients, or perhaps some of both?